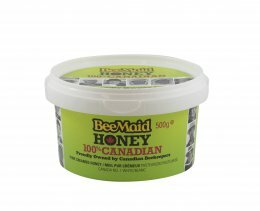 Bee Maid creamed honey truly is the �cream of the crop� of honeys. It is prepared using a delicate process of adding crystallized honey to liquefied raw honey and mixing it until the honey has a smooth, creamed texture that melts in your mouth. 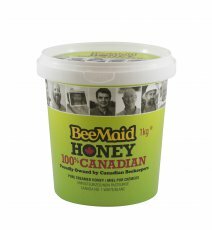 Count on Bee Maid creamed honey to be the ultimate comfort food when spread over warm English muffins, crepes or pancakes. It also adds a heavenly touch when drizzled over coffeecake and other desserts. 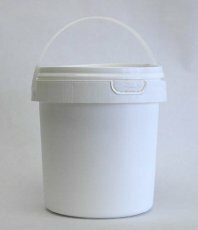 Packaged in different sizes for your convenience, pick up the smaller 500g tub for breakfast at the office and choose the larger 3kg pail for full-sized honey lovin� families!